You may remember Sophie & Buddy? 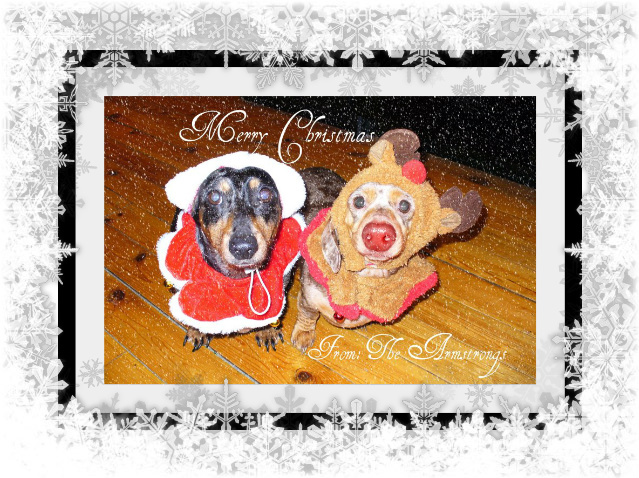 My weiner dawgz - Well, they were not impressed with their Christmas photoshoot this year. This photo makes me smile big. I LOVE it. Thank you so much for sharing and linking up. Where did you find those outfits? Oh gosh, that is so funny! They look like they are pleading with you to get them out of those outfits!